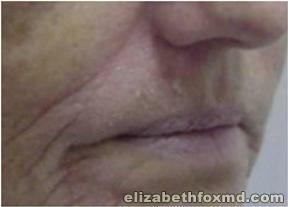 Description: This patient had very thin lips due to loss of collagen from aging. 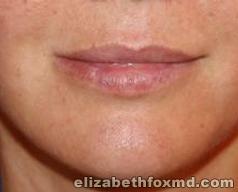 Dr.Fox performed a lip augmentation with Juvederm to give her the full, pouty pucker she desired. 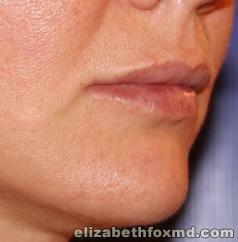 Contact Dr. Elizabeth Fox for more information on lip augmentation and lip augmentation cost. 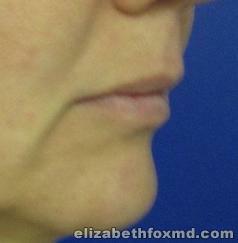 Description:This patient had very thin lips due to loss of collagen from aging. 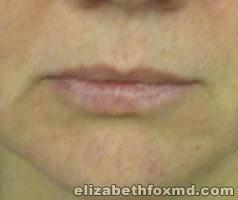 Dr.Fox performed a lip augmentation with juvederm to give her the full, pouty pucker she desired. 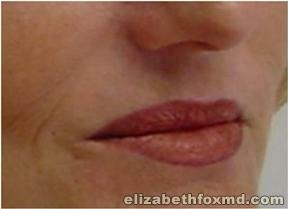 Contact Dr. Elizabeth Fox for more information on lip augmentation and lip augmentation cost.